You may not believe it but many people still are skeptical about online shopping. And they are right about their doubts, because how can you know the personal information you share online is safe and secured? How is your credit card information safe from eavesdroppers at every corner of the vast cyber world? Well, it does not require any miracle or divine protection to reach at the right place safely. The entire security aspect lies in having a good trusted third party and strong encryption. This is where HTTP vs HTTPS, the ultimate difference lies. Let us take a deeper look into what is the difference between HTTP vs HTTPS. HTTP or the HyperText Transfer Protocol is the application layer protocol. It allows information to pass on to the user at one end of the computer from Point A. However, there is no secure way or process through which data from Point A is transferred to Point B. It tends to be stateless, that means, it does not have any memory of the browsing history. This may be good if you are thinking in terms of less data sent that leads to better speed. The Transmission Control Protocol (TCP) for HTTP is Port 80. Thus, the computer has to send and receive any data using this default port HTTP only. 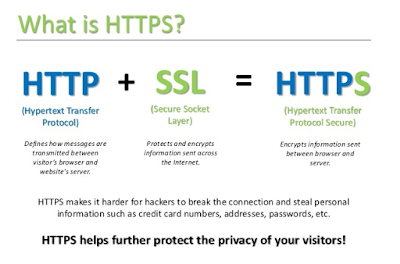 HTTPS or the Secure HyperText Transfer Protocol (HTTPS) is just like HTTP. It uses TCP Port 443. Thus, making HTTP and HTTPS two separate forms of communications. HTTPS works in conjunction with another protocol, that is, the Secure Sockets Layer (SSL). This protocol helps in transferring data from Point A to Point B in a safe and secure manner. HTTP and HTTPS both do not have any protocols for data to follow in order to reach its destination. And SSL has no problems with how the data appears. 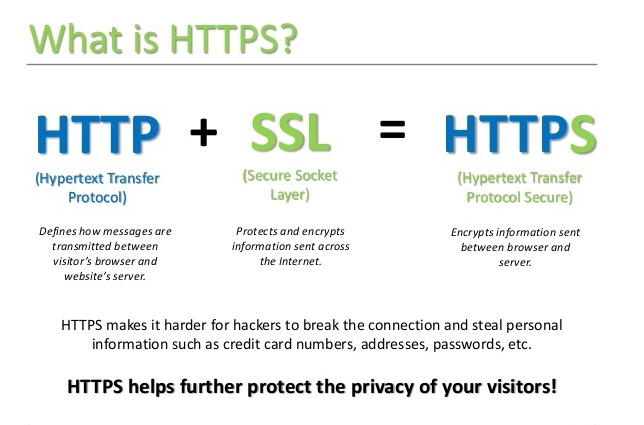 The only difference between HTTP and HTTPS is use of SSL to move data from one point to the other securely. Suppose you go online shopping. When it is time to pay for the stuff you just bought, the browser address bar suddenly changes to HTTPS. Do you think it is a good thing? Or is it time to worry? Well, it is the best thing that could happen when shopping online. It means the vendor uses the website under Secure HyperText Transfer Protocol (HTTPS). When the computers use. HTTPS, they scramble the information sent between them into a code that only Point A and Point B computers can read. Thus, none of the eavesdroppers in the vast cyber world can read them. The Secure Sockets Layer (SSL) is at tines called as the Transport Layer Security (TLS) helps sending the coded information back and forth. How Do HTTP and HTTPS Work? Network administrators used a procedure called HyperText Transfer Protocol (HTTP) to transfer information over the Internet. It became common knowledge soon and all who had the right information could intercept information over the Internet easily. Soon, Internet administrators realized they needed something to protect the information from being stolen on the way from Point A to Point B. Thus, they came up with the SSL Certificate to encrypt the online data. This means the sender Point A and receiver Point B agree on a ‘code’ and translate the information into a jumbled, random characters that no one can interpret. Thus, HTTPS came into existence and only the sender and receiver could open and read the messages. At each end, there is an SSL certificate that helps both the computers read their secure codes. The ‘public key’ of the computer’s owner is present in the SSL certificate. This key can be shared with anyone who needs it. This process of exchanging the public keys using SSL Certificate helps in enabling HTTPS, SSL and TLS is called as the Public Key Infrastructure (PKI). This is about HTTP vs HTTPS, the ultimate difference. If you find a website is using HTTPS, then do not worry. Any information you send through this website will definitely be safe and secured.